For busy mornings when you are mostly in a hurry to go for work and don’t have much time to make special breakfast for everyone, toasters are your best companions. But it is also worth considering that breakfast is very important to start your day and it shouldn’t be skipped. Hence, toasters have become a must-have appliance in your kitchen for your everyday breakfast needs. Why 4-Slice Toasters, not 2-Slice Ones? For a family, it is sure that everyone loves to start their day with some toast and they will need at least two slices with their morning brew. 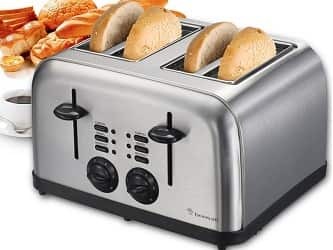 So, you can save a lot of time for you and your family with 4-slice toasters as they are very advanced machines as compared to their 2-slice counterpart. You can make more toasts at a time, which is the beauty of 4-slice toasters. You can easily make toast for a couple rather than making two different breakfasts. Be sure to have wide slots on the toaster as you can use different bread cuts and sizes. You may want to have 1.5” which is an extra wide toaster. But for longer cuts, these slots are too short, such as homemade or Artisan loaves. Well, you can solve this issue by choosing toasters with European slots. These types of toasters have two extra wide slots instead of shorter ones so you can fit two bagel halves or one Artisan slice in each slot. You may want to buy 4-slice European style toaster to meet all your needs if you consume long bread and needed to cut bread in half. You may want some great functions in a versatile toaster. A lot of 4-slice toasters come with ‘cancel’ button, ‘toast’ button, and ‘bagel’ button. Toaster with ‘bagel button’ can toast only the cut side and warm up another side. For more control, you may want toasters with reheat and defrost function. You can toast frozen waffles, bagels, and other items with defrost setting. Hence, outside of the food is toasty and inside is cooked. You can also use Reheat function to warm up the toasted bread without browning it any more. It is common in every 4-slice toaster to pick the ideal shade. Usually, they have up to 4 to seven levels of browning and they are numbered. First four levels are widely used as you may not want completely burned toast. It is very important to control toast shade very well if it doesn’t have any timer. These are common in almost all 4-slice toasters. Hence, it is possible to control each section of two slots separately. It means a bagel and two English muffin slices can be toasted at one time on varied settings. So, you can save a lot of time in making breakfast, especially when you have to rush to the work and don’t have much time to toast different types of breads one by one. Crumbs are common in making toasts and these are present in the toaster. Most 4-slice toasters come with detachable crumb tray for easy cleanup. The crumb falls in pull-out drawer. You can easily remove the crumbs just by sliding it out and keep toaster safe and clean to avoid fire hazard. 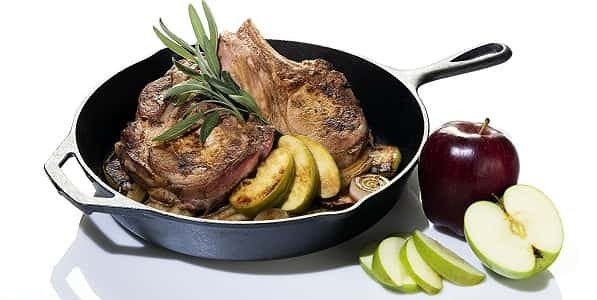 You may even wash any struck leftover off in dishwasher. English muffins and other smaller breads don’t jump high enough to pick them out safely. You need to risk your fingers to reach into the toaster on the heating parts that are still hot. 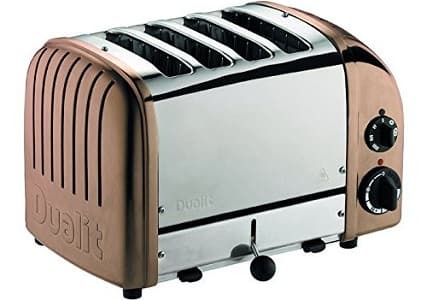 High lift carriage or toast boost are some of the common features in modern toasters to pop up even small slices so there is no risk of burns. If you have kids, this feature gives added safety as they may use any metal utensil to remove bread. Mostly, toasters are made of cheap materials that are prone to burns within just few months or years. Plastic is more vulnerable to denting or warping. So, make sure to look for all-metal toaster which is built to last. Stainless steel is prone to scratch too frequently. On the other side, chrome and die-cast steel are less prone to scratches. All-metal toasters are very appealing and shiny. Most toasters lack in manual lift gate just for staying ahead in digital age. Everything is in control of one touch button. You press ‘toast’ to toast and ‘cancel’ to stop cycle. You can also use a feature to pause toasting cycle and continue without starting the process from the very beginning. Obviously, the size of 4-slice toasters is bigger than their 2-slice counterparts. However, some are compact in design. If you don’t have much space, you may go for European-style toasters as they weigh just 1 to 2 pounds. Heavier models can weigh up to 8 to 9 pounds. In crowded space, you might come into contact of hot toasters and burn your hand. You may also have to keep your kids safe. 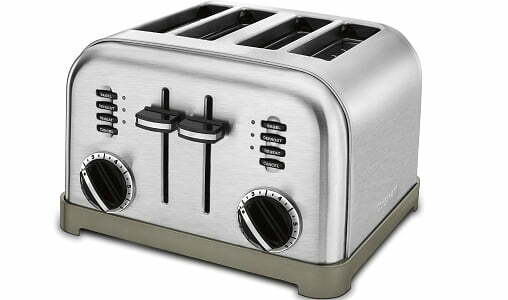 Most toasters have cool-touch handles and sides. Hence, only the top side of toaster gets hot and metal side remains cool. You may want to buy versatile models that are not just limited to toasting. For example, they can be used as egg boiler, egg cooker, and meat warmer. 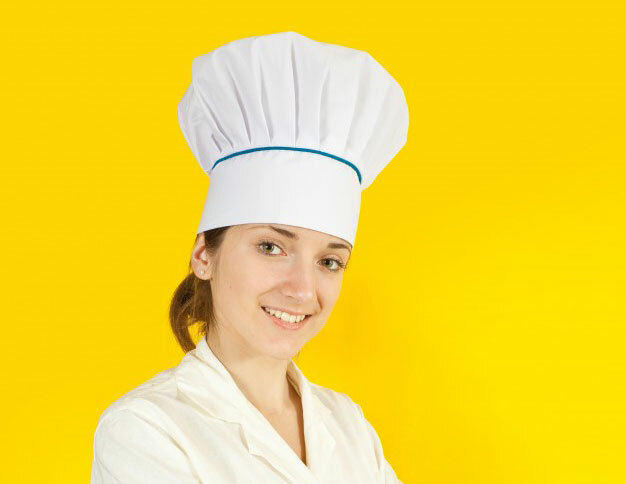 Egg cooker is attached to the toaster to cook eggs, boil eggs in egg basket, and warm up meat in warming trays. You can easily make your breakfast sandwich to save both money and time. Timer is not common in all toasters so you can find out how long you have to wait. It is very important to have a timer to prepare other items side by side, when your toast is getting ready. Timer also comes with beep alert to remind you that your toast is prepared. This toaster doesn’t just prepare the perfect toast every morning, but it also looks good thanks to its brushed stainless steel body. It has retractable cord to save more space. It has manual lever to pull out small slices well. It has in-built trays that are hidden so you can pull out and remove the crumbs. Though exterior heats up, it won’t cause burns. 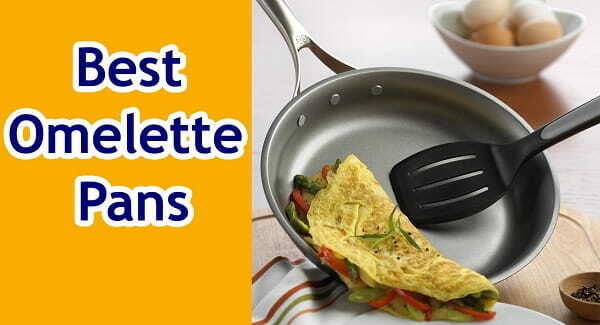 It has easy to clean and non-stick inside slots. It also has dishwasher safe parts. At a time, you can brown two sets with its dual operation. At level 6, toast one set and, at level 3, toast other set that is slightly browned. You can cut bagel with bagel option. It can also be used for waffles and bead to toast on either side. It has cancel, reheat, and defrost features along with timer. This 4-slice toaster from Hamilton Beach features wide slots to toast homemade bread and bagels with ease. They toast evenly and you can also defrost and reheat with its smart features. In addition, this smart toaster is durable, attractive and easy to use. 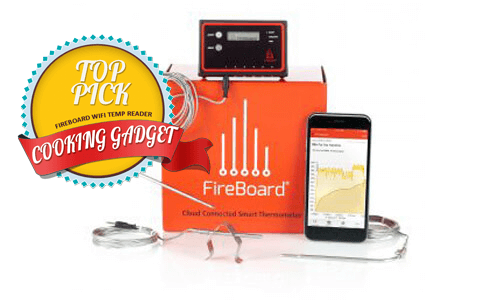 It features auto shut-off function, removable crumb tray, and toast boost function. KRUPS KH734D50 is made with chrome and brushed stainless steel which really adds grace to your décor. However, it is also capable to toast around 4 slices of bagels and bread at the same time. 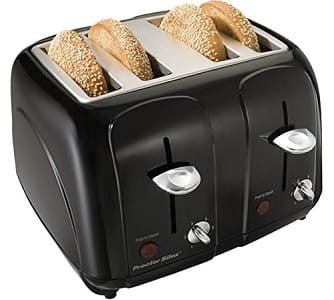 The unique toasting technology in this appliance can brown any kind of Bread evenly and you can also choose your browning level with shade-setting dial, i.e. from 1 to 6 (lightest to darkest). It comes with defrost feature to toast for longer time and ensure best results to toast frozen bread. You can even reheat the toast without browning it any more. It has extra high lift to pop up smaller pieces without causing burns. You can toast different types of breads, buns, bagels, English muffins, and thick homemade slices with its self-centering, extra wide slots. It has bagel mode so you can toast the inside and warm outside of the bagels. 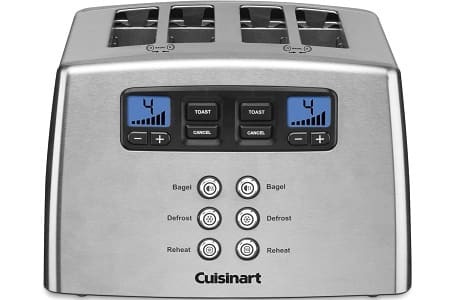 Cuisinart toasters usually come with same common design but they differ completely in terms of functionality. 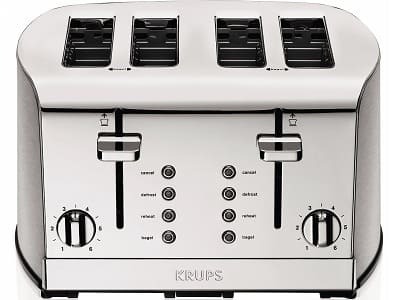 This 4-slice toaster has motorized lift and stainless steel housing. It weighs just 5lbs and measures 11×10.2×7.3 inches and has built-in cord storage. It has 1.5” slots which are wide enough to toast different types of breads. It comes with different options and settings to meet your diverse needs for breakfast. It has bagel option to leave the top portion cut soft and fresh and makes bottom crunchy and chewy. You can heat up the pancake with reheat button. Simply pop the waffles up on the slot and hit ‘defrost’ button without toasting them. You can also stop the cycle anytime with cancel button. There are seven settings for browning the bread, i.e. from lightest brown to dark brown. You can brown only the cut size with bagel option. It has LED backlit display and timer. You can toast in two ways with dual operations at once. 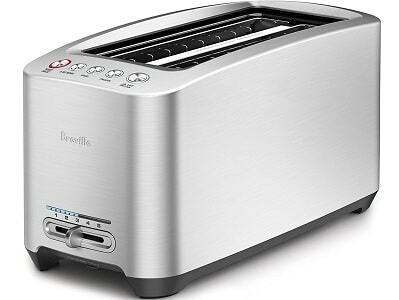 Breville BTA830XL Die-Cast Smart toaster is designed to toast virtually any kind of bread just the way you want with its 1-touch toasting carriage ‘Lift and Look’. It moves up and down automatically to show you the process without having to stop the cycle. It also has ‘A Bit More’ function to toast more if you want. It has push button controls coupled with motorized carriage. This Smart Toaster is sleek and modern and made of die-cast steel. Proctor Silex is one of the most trusted and reliable brands, especially for buying toasters because they are durable. This Cool Touch toaster is a multi-functional and convenient appliance to deliver easy, fast and reliable toasting. It has got stylish and practical design which looks great and it has cool features like auto shut-off, toast boost, and removable crumb tray. You can save a lot of energy and time with this handy toaster. Handcrafted since 1950s in the UK, Dualit’s toasters have been the great kitchen appliance for you. It has timeless design and fully repairable or replaceable parts. It has ejector lever and mechanical timer as it can choose just those slots you want to use. You can find bagel and defrost functions in this NewGen model. It combines both reliability and simplicity at its best. It has Dualit Sandwich Cage with 28mm extra wide slots. It has in-built drip tray to make grilled cheese sandwiches with ease. Make your breakfast more delightful at home with Bonsaii T866 4-Slice bread or bagel toaster. It features easy to clean and remove crumb tray with cancel and defrost feature. 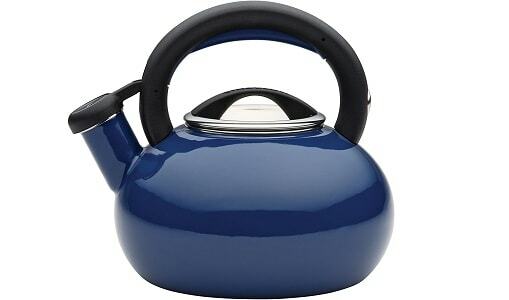 It has variable browning setting with stainless steel housing. It has 6 shade and 4 slice settings from lightest to darkest so you can have more control on your food at a time. You can easily toast more types of bread with special defrost and bagel function. It has removable crumb tray which is easy to cleanup and it can easily slide from the back of toaster. It has cord storage under the toaster. You can easily stabilize it with anti-slip foot mat. 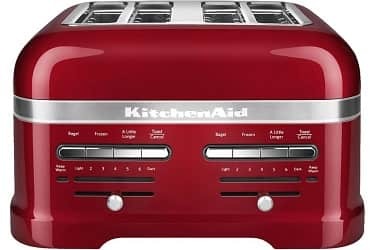 The Pro Line series KitchenAID KMT4203CA 4-slice automatic toaster has a lot of cool and amazing features to take toasting to a new level. You will find your toast warm with its Keep Warm feature even after 3 minutes of toasting. It lowers bread and lifts it automatically in its self-centering racks when it detects bread in the slot. Once the bread reaches the desired shade, it lifts the bread automatically. You can choose how dark or light toast you need with its seven shade settings. You can easily defrost or toast bagels with its frozen and bagel functions. This professional 4-slice toaster comes with original 5-year limited warranty. Sunbeam Wide Slot 4-Slice Toaster has amazing features to make the toast in your own way. 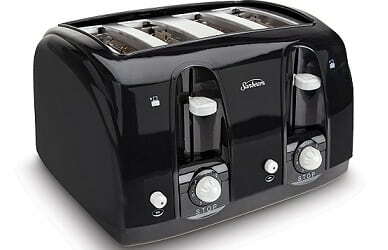 This sleek and dazzling black toaster is boosted by Electronic Toasting for even, consistent results. 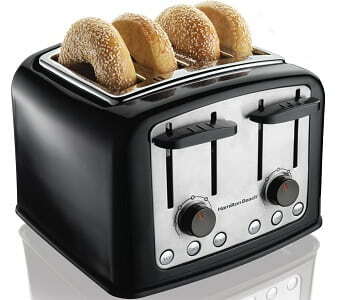 You can toast sliced bread, bagels, and different types of breads in its extra-wide slots. From heavy designs with just one function to more compact ones with a lot of smart features, toasters have seen a lot of changes over time. All the toasters listed above are best for different uses. Choose a high-quality toaster which gives years of service without any breakage, though it will cost more initially.